Welcome to Tiny Epic Western, a small board game with big dreams. The West is growing faster each day, and you're looking to stake your claim. Make money, use force, or keep the law on your side – there's plenty of ways for a cunning tycoon to strike it big out here on the frontier. The game is played through the use of poker hands and worker placement (placing members of your posse on specific locations.) Players must manage their resources to buy buildings and come out ahead in gunfights. 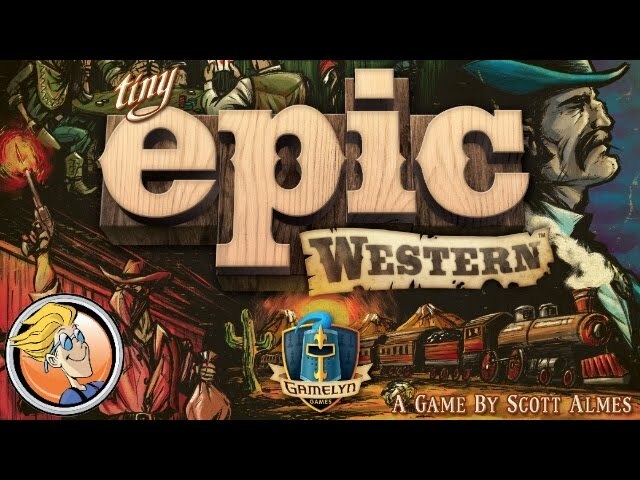 Buy Tiny Epic Western for a fast playing game of resources and revolvers set in the old west.